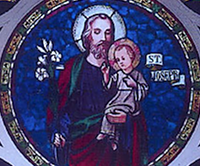 When St. Joseph in Somers, NY decided to expand and build a new church, they were torn between creating new stained glass windows and purchasing old church stained glass windows for their edifice. 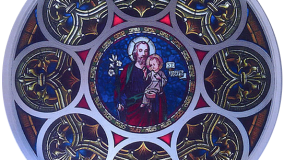 The Archdiocese of New York had beautiful old stained glass windows from St. Ann’s, a church which had closed some time ago, in its warehouse on Staten Island. 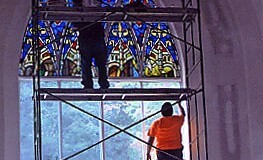 After reviewing photos of the old stained glass windows, the Church decided to purchase them. 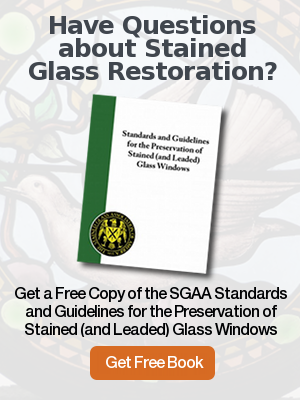 This was a massive project involving more than 1,500 SF of stained glass. 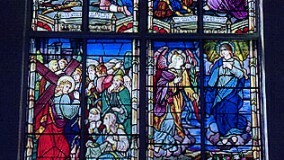 The architects designed new gothic shaped windows into which many old stained glass windows were to be retrofitted. 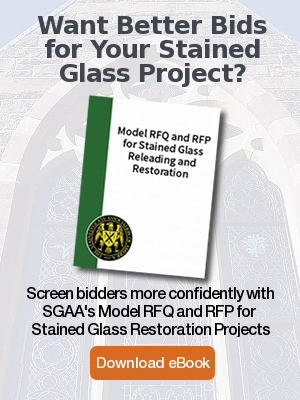 This in turn required Rohlf’s to create new stained glass to match the old St. Ann stained glass. 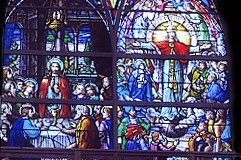 All of the original stained glass from St. Ann’s was totally re-leaded and adjusted to fit into new thermally-broken frames. 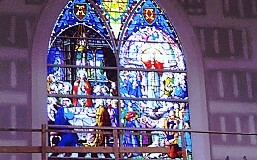 The provenance of the original St. Ann’s windows is unknown as the stained glass is unsigned. From our experience, it looks as if the windows are American made and they are exceptional in both design and painting. 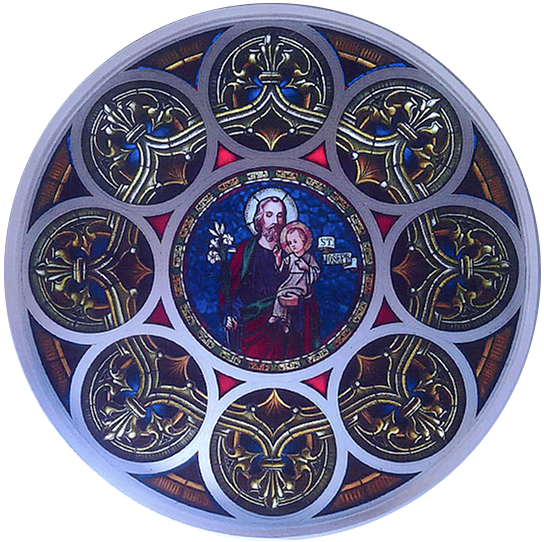 This unusual re-use of old stained glass windows in a new, state-of-the-art church building will, we hope, serve to inspire for generations to come. You can see photos of the completed sanctuary in our portfolio post for this project.